Posted on July 10, 2012 by admin Posted in BlackBerry, Phone Tips / Information	. 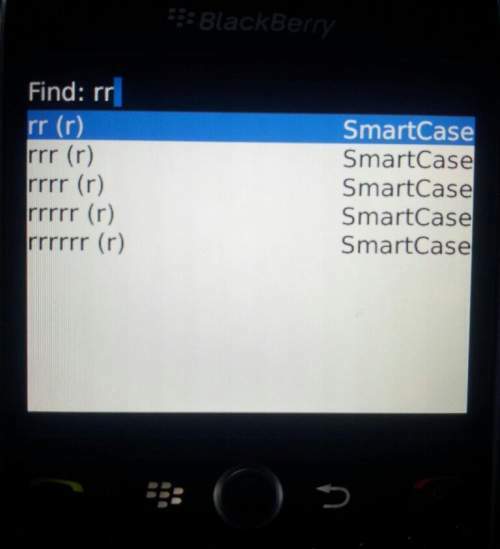 The problem that sometimes arise on BlackBerry device is when you type a keyboard, it will gives you two (double), three (triple) even more characters instead just one. For example, when you press the “a” key, it will shows up “aaa” on the display. This condition can be caused by software, or it can also cause by hardware failure and usually it happen on the old device, refurbish device or just some factory defect. If it cause by software, you can repair double (or triple) key input issue by upgrading the operating system to the newest one. However, the bad news is, in most case, the cause of this duplicate letters problem is cause by hardware. To really fix it, you have to take apart the case then cleaning or replacing the keytone of the keyboard. But, if you don’t have time to bring the phone to the service center or to repaired it by yourself, don’t worry, in this article I will give you a simple tips to fix “double” type input on BlackBerry with ease, hassle free and absolutely can be done by yourself. Before we start, I want to inform you that the tips I wrote is for temporary only or we can say just for an emergency. If you have time and money or if it still covered by warranty, I suggest you to bring the BlackBerry to the service center. If it necessary to replace the key tone, the cost you have to spend is usually less than 15 USD. 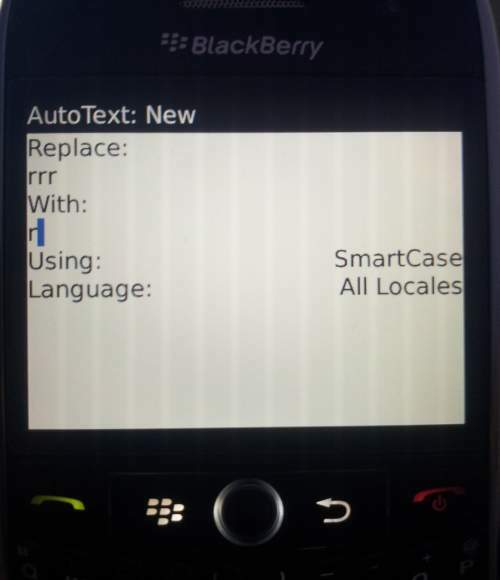 To fix double typing BlackBerry, you can use the AutoText or word substitution feature. The idea is by using this feature, every time it gives you more than one characters, it will automatically convert it to just one character. For example, if displayed “aaaa”, the auto text will convert it to just an “a”. Now every time it shows up the “rr” letters, those letter will automatically converted to just an “r”. Repeat this process from two times until how many the “r” letter shows up. For example, if you type the r key and sometimes it reproduce the double r and sometimes triple r, then you have to set one more AutoText that will Replace: rrr With: r. Below images is an example of auto text I make to anticipate the r character if it displayed up to six times. Tags: double triple key input issue blackberry, double triple typing blackberry, duplicate letters when typing blackberry, fix double type keyboard blackberry, fix double typing blackberry, typing double letters blackberry	.